Every book that has been scheduled into Build Your Library products has been specially curated for a specific purpose. It has been pre-read, evaluated and assigned to be read aloud by the parent or read independently by your child in accordance with the specifically themed topic being covered. But what do you do if your … Continue reading "Skip this book." In case you just missed it, this past Thursday, February 16th was World Read Aloud Day. But I don’t believe we need a national day of recognition. Everyday can and should be a read aloud day! The picture to the right is in fact an actual picture perfect, but admittedly non-typical read aloud session at our … Continue reading "Read Aloud Sabotage"
You’ve probably noticed that it has been quiet around here lately. I never mean to neglect social media and my blog, but life takes over and projects happen, and well…you get the idea. So I thought I’d take a moment to share what I’ve been working on. 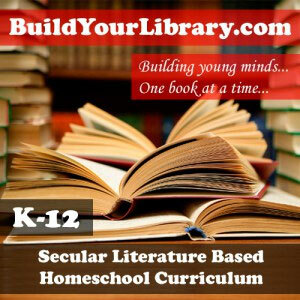 🙂 First, I’ve been doing a lot of … Continue reading "What’s New at Build Your Library"
You often hear the words “living book” tossed around in homeschooling circles, but what constitutes a living book? Can it be subjective? What are spine books? Do we have to read only literature that was written over a hundred years ago? 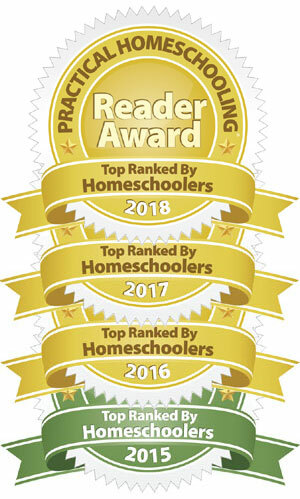 How can I use living books in my homeschool? Today, I want to explore … Continue reading "Teaching With Living Books: A Tutorial"
For the last month or so, I’ve been on a book-collecting spree. I knew for a while that I was going to do World History for the Level 8 plans. Then, I got my hands on a copy of The Story of Science: Aristotle Leads the Way at my local library. I fell in love. … Continue reading "A Hint of What’s to Come – Level 8"
I am so excited to finally present the Harry Potter And The Chamber Of Secrets unit study! Welcome back to the exciting world of wizards, mythical creatures, magic and danger! Harry’s second year at Hogwarts gets off to a rough start and it only gets worse when students are being mysteriously petrified. You’ll explore Harry’s … Continue reading "Unit Study: Harry Potter and the Chamber of Secrets"
This is part 3 of the Literature-Based Education series. Follow these links to read Part 1 and Part 2. It may sound obvious enough – but any school subject can be taught with living books. Science, history, art, grammar, even math can be taught with literature! Most homeschoolers are familiar enough with how to liven … Continue reading "A Literature-Based Education: Teaching Academics"
This is Part 2 in the Literature-based Education series. Last week we talked about Choosing Great Literature. Today I’m going to talk about the mechanics of reading aloud. So now you’ve chosen a topic to study and you’ve gathered your books. What exactly does teaching with literature look like? How can you fit all of … Continue reading "A Literature-Based Education: Reading Aloud – Making it Happen"
Teaching World War II can be intense. There is an overwhelming amount of material to cover! From the European war, to the Pacific Theater to the American Home Front; the Holocaust and Japanese Internment camps, Axis and Allies, and D-Day, you could easily spend an entire year just covering this topic. There are literally hundreds … Continue reading "Unit Study: World War II"